We all have our own “pet” – or favourite – subjects (!) and there aren’t any prizes for guessing one of ours. Yes, we know, it can seem rather repetitive – not to mention boring (!) – at times, but there is method in our madness. While we don’t think of ourselves as living in water, in reality we do, with our bodies being made up of more than 75% water. Every one of the billions of cells found in our body is literally bathed in water. Our body’s main transport systems, the blood and lymph, are water based. The millions of chemical reactions occurring every second do so in water. And so the list goes on. Is it any wonder then that so many of our health problems are linked to a lack of water or, put another way, dehydration? Two very obvious examples are headaches and constipation. Arthritis and Dementia may be less obvious at first sight, but the link to dehydration is well known. There’s so much more we could say about water – and its link to health – so you’ll probably be relieved to hear that this isn’t what we wanted to write about today. That’s not to say that we won’t return to this subject another day. You have been warned! However, if you’d like to do a little research of your own, F Batmanghelidj’s book “Your Body's Many Cries for Water: You're Not Sick; You're Thirsty” is a fascinating read. Instead we’d like to focus on a less well known, but fascinating, aspect of water. And that’s its sensitivity. Many traditional medicines, such as Acupuncture, have long considered water to be the most sensitive of elements and linked to the emotions. Certainly, if you think about that most basic of human responses – crying – this watery response is linked to so many different emotions. Tears of joy. Of celebration. Despair. Or frustration. 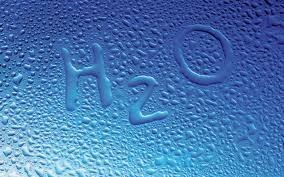 Research has found that water is extremely responsive to very low levels of substances dissolved in it. For example, chlorine or fluoride in a few parts per million. This may, in part, help to explain how homeopathy works but, again, is a subject best left for another day! Water is also affected by weak magnetic or electrical fields; as well as “subtle energies” outside the measurement range of current scientific instruments. Now we know that his may all sound rather abstract – and not easy to picture in your mind – but a Japanese researcher, Dr Masaru Emoto, came up with a brilliantly simple way to demonstrate just how sensitive water is. And that was to freeze individual drops of water from different sources and compare the resulting ice crystals. What is most striking is that ice made from water taken from pure sources – springs and antarctic ice – all has a beautiful even geometric shape. While that taken from polluted sources loses its natural symmetry. Similarly, water exposed to soothing classical music produces stunning and intricate ice crystals; while heavy metal music has the opposite effect. However, there's one other finding that we'd like to focus on today. And that is the effect prayer – or positive thoughts or words, if you prefer – has on water. Intrigued by this discovery, Dr Emoto then started to research the affect different emotions had on water and the resulting ice crystals. Again and again, he found that positive emotions led to the creation of beautiful ice crystals. Negative emotions led to a loss of integrity and discordant ice crystals. If we now go back to where we started – that the human body is made up of more than 75% water – this raises an intriguing question. If words – or thoughts – can change the structure of water found outside our bodies, what do they do to the water found within our bodies and so our health? Just think for a moment how being immersed in a negative environment makes you feel. Whether it be at home, at work or with friends; the end result is the same. Being subjected to this for a few hours at a time is one thing. Living with it every day is quite another. So, why should living with a negative internal state be any different? The simple answer, according to recent research, is that it isn’t. It found that people of a less cheerful disposition (!) are more susceptible to colds and, when they do succumb, symptoms tend to be more severe and last for longer. If this is true of short term, so called acute conditions; what about longer term chronic conditions? Which neatly takes us back to an earlier blog post – What do you see, the rain or the rainbow? – and the “glass half full” approach to life.